Dear Gatsby….. My sharp dressed father was visiting my wife and I last week and he happened to notice my favourite Sunspel jumper in my wardrobe, and he was trying to convince me he once wore a pair of Sunspel woollen boxers!!! 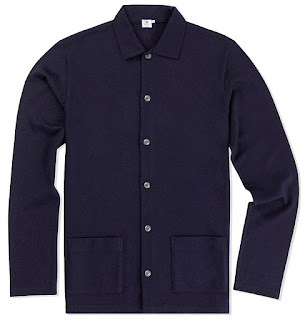 Is this something that Sunspel would have produced and if so what were they like? Sunspel are perhaps best known for making fine cotton clothing. What’s less known is that they have a heritage manufacturing quality woollen garments that pre-dates the birth of their now-iconic cotton boxer short, t-shirt and polo shirt. When Thomas A. Hill founded Sunspel in 1860, woolen undergarments were one of the earliest products made by the company. 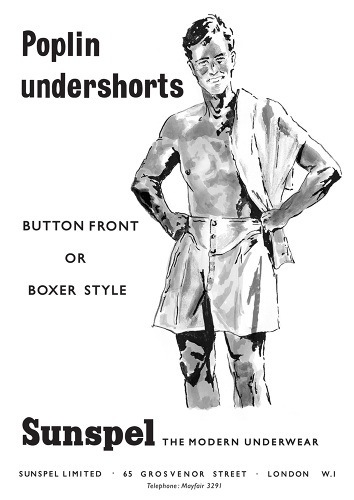 In fact, despite the development of cotton underwear and all of its obvious benefits, woollen styles remained a mainstay of the business right up until the 1970s: a result of the English climate and some of our customer’s apparent desire to live with windows that never closed and heating that never heated. What an uncomfortable thought!! Sunspel’s vintage wool, otherwise known as Q (for Quality) 12, is spun specifically for them by an Italian mill steeped in years of heritage and expertise. It is a luxurious two-fold merino that was developed from an archive sample of Sunspel underwear and – having originated from garments that were worn directly next to the skin – is incredibly soft but also highly durable. Careful ….. this will all sound like a well-oiled advertisement….combining the best in Italian cloth and English manufacturing, they make the vintage wool collection at a local factory in Long Eaton, Nottingham. While knitwear is typically made using the ‘fully fashioned’ construction process, Sunspel take a rather different approach with their vintage wool collection. 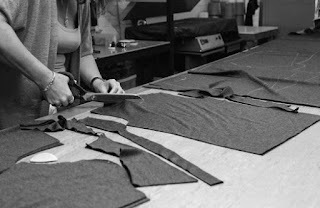 Instead of knitting each pattern piece to shape, before knitting them all together at the seams, they use ‘cut and sew’. 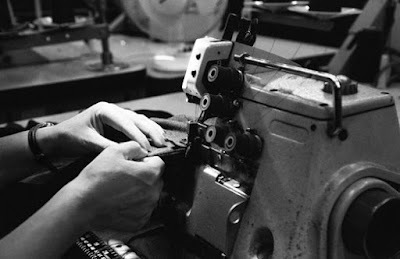 This is the same technique that is used to make jersey t-shirts and underwear and describes the process of cutting each pattern piece from a length of knitted fabric, before sewing them all together at the seams. The result is knitwear (NOT JUMPER…… DOMINIC!) that has a unique fit and drape, making it as comfortable and easy-to-wear as your favourite t-shirt.